A 200 watt heater can be added as an attachment, and this machine is able to use the larger 2.0mm solder diameter. This machine is most useful in soldering high sink applications such as multilayer board and shielding case. 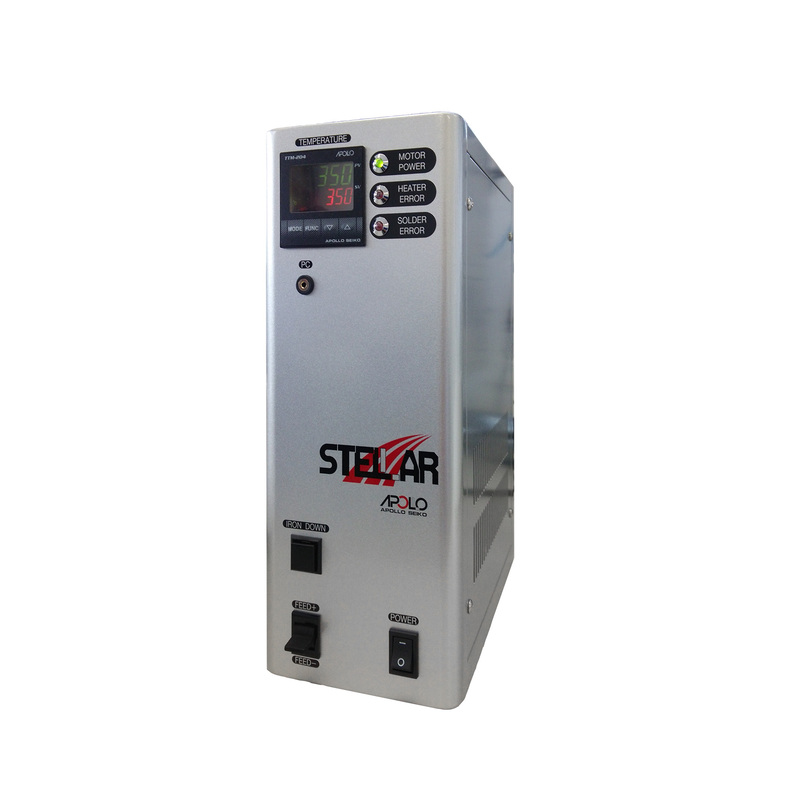 The Stellar controller can store 100 solder profile provides for flexible programming to meet the needs of a wide variety of soldering applications. The robot’s 255 X-Y programs (30,000 points total), provides endless flexibility.